The Yuyang Nonwoven Machinery provides highly thoughtful service. We warmly welcome he customer to come our factory to in inspecting the production line before delivery. The machines will only be delivered when you accept the quality of the machines. Also, we will assign professional mechanical and electrical engineers to the buyer's factory for installation and commissioning. And the engineers will also train some skilled workers for buyer to operate the production line by themselves. If buyers meet some difficulties that could not be solved by themselves during the practical production, we will offer relative technology immediately or assign workers to help to work out the problems as soon as possible. The SS2400 polypropylene spun-bonded nonwoven product line consists of two spinning boxes, extruding machine, melt filter, measuring pump, refrigerator, winding machine and so on. 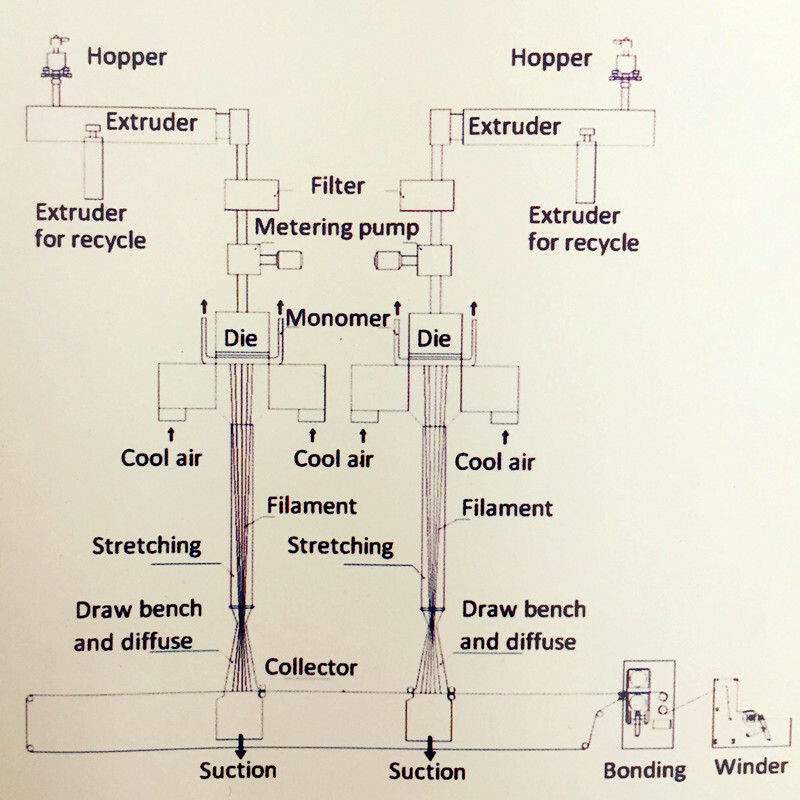 These main components of the SS2.4 m nonwoven machine are manufactured by professional factory in Changzhou,Shanghai or Wuhan. 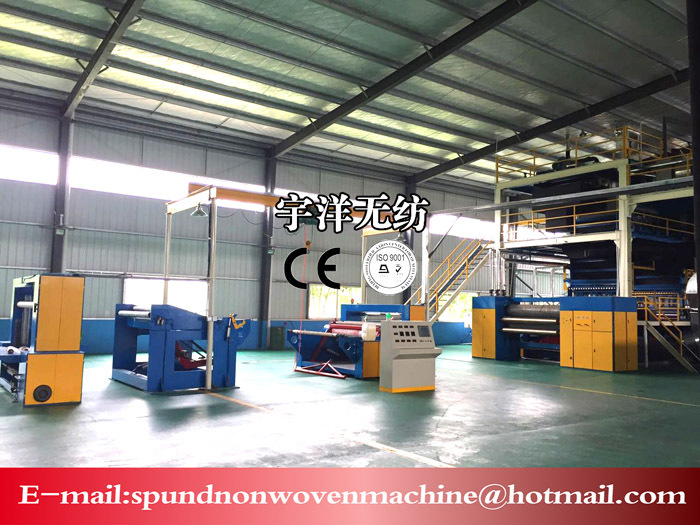 Also, the rest part of the SS2400 PP Spunbond Nonwoven Fabric Line is manufactured by ourselves since our company has a large number of professional engineers and technicians. For product which product weight is 60g/㎡, width is 2.4 m, the capacity is around 12000 KG/day. Customer demand is our pursuit. If you have any question or any special requirement of the 2400 double beam spunbond nonwoven product line, please contact us directly. We will response you in 24 hours. Looking for ideal 2.4m SS Nonwoven Machine Manufacturer & supplier ? We have a wide selection at great prices to help you get creative. All the SS2400 Nonwoven Fabric Line are quality guaranteed. We are China Origin Factory of 2400 Double Beam Nonwoven Machine. If you have any question, please feel free to contact us.